The following comments about attractions in Amsterdam have been posted from individuals. We believe that the best reviews of Amsterdam, Netherlands are written by travellers and holiday makers who have experienced Amsterdam first hand and want to share their thoughts. Can you share yours? 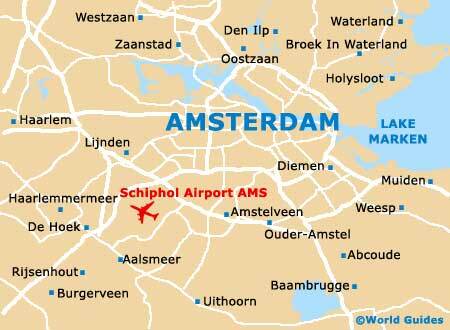 Please help us expand this section of our Amsterdam World Guide. Let us know what you think about the attractions in Amsterdam, Netherlands. Submit comments about Amsterdam attractions here. Had a long weekend break in Amsterdam. The hotel was great and the time we spent there was delightful but the coach trip was ghastly . There were so many pick-ups and then to top it all the coach driver got lost and we were very late arriving at the hotel. The home journey also took ages as we were one of the last to be dropped off. Will fly next time. Take a cruise along the canals if you can. We went on a sunny afternoon and it was really lovely. There were lots of canal cruises available to choose from and along it might seem a bit 'touristy', it is really worthwhile. You can even hire a private boat for your very own custom cruise of your choice. I've just got back from an excellent stag weekend in Amsterdam. We spent a lot of time around the hash cafes in the Red Light district, especially in the Graffiti Cafe, where we all autographed the walls. We stayed in a really cheap Youth Hostel quite a way outside of Amsterdam city centre and used the trams to travel around. However, a couple of our party had their wallets stolen at the hostel while they were sleeping, which was a bit of a downer. It didn't spoil the weekend though, and one day, there was even a circus parade through the town, with elephants, close to the railway station. That was really bizarre. Please note that these Amsterdam, Netherlands comments and reviews are posted by individuals and are not necessarily the views of World Guides.